In a time that can be seemingly progressive and unprejudiced, it wasn’t the reality for a group of young boys attending a hockey tournament in Québec City this past May 2018. The First Nation Elites Bantam AAA team was made up of players 13 and 14 years old coming from different communities across Canada. While most of this team is made up of boys from many Cree, Atikamekw and Algonquin communities in Québec, others came from surrounding provinces including Ontario and Nova Scotia. 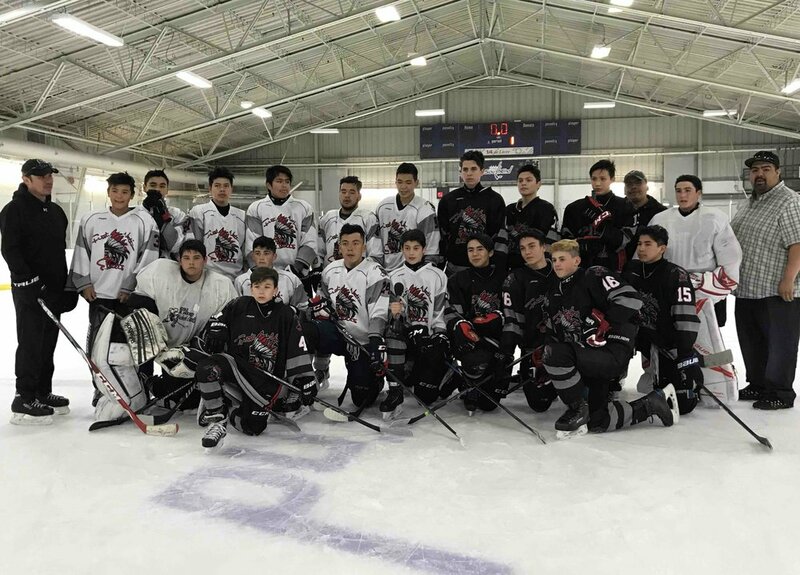 At the Spring hockey tournament, players and parents claimed to have been victim to racist taunts and unfair treatment by the tournament organization, including the referees. This tournament, The Coupe Challenge Quebec AAA is an annual tournament that took place for three days in late May. Players were called “savages” by other teams’ coaching staff. In addition to such, the team’s opponents would imitate and stereotype the team by doing “war cries” on the ice and making tomahawk motions behind their backs. Elites manager Tommy H.J. Neeposh said that this taunting was the worst he’d ever seen. To make matters worse, he said that refs, coaches, and parents simply watched it happen, and allowed it. Neeposh managed to film some of this unacceptable behaviour in the team’s semi final game. The video itself proves that the behaviour taking place was unacceptable and repugnant in the video. The video also shows bias of the referees against the Elites. At one point, the referees had four Elites players in the penalty box at the same time. One mother, Christina Gull, told CBC that what she witnessed was hurtful and angering. “I was thinking, ‘Does this still exist. Are we in the 80s or 90s?” said Gull to CBC. She went on to tell of how the DJ of the games was playing powwow music, and other parents continuously told them to go home. This awful behaviour was brought to the attention of the Organizer of the Coupe Challenge Québec AAA, the Bulldogs de Québec. The vice president and organizer for the Bulldogs is Richard Sevigny, who explained that what happened in the rink was out of his control. Sevigny did explain that the situation was highly unfortunate, but that he did do a lot for the First Nation Elites before the tournament even took place. This included registering the team when the tournament was already full. Sevigny said that with regards to the referees, he would simply not hire back those specific officials. Sevigny’s short response and quickness to accept the behaviour of the players on a “boys will be boys” mentality is not enough to oblige to these families and hockey players that were subject to atrocious racism by opponents, parents, and referees. Unfortunately, this isn’t an isolated incident. This happens everyday in communities across Canada, and it is completely inacceptable. Neeposh spoke to the boys following the tournament. As reported by CBC in May 2018, he told the boys “You are going to face this for the rest of your lives.” This shouldn’t be something so prevalent in the world we live in today. This shouldn’t be the reality we are living in. These young boys will face this for the rest of their lives, but it doesn’t have to be that way.